128 pages, 10 patterns, 12 potluck supper recipes, color throughout. Making quilts has long been a social activity. Whether it is quilting bees or project classes or show and tell at the guild meeting, quilters have always gathered in the company of friends to learn, to accomplish, or simply to share the joy of a beautiful quilt done well. For all the many ways people are instantly connected today, from Smartphones to satellite dishes, it's amazing how many still feel a certain disconnect from their neighbors and from the institutions that used to bind us all. Patchwork Among Friends recognizes this basic need quilters have for human contact, and it offers ideas for how to effect that: everything from classes (with or without a teacher), setting parties, varying kinds of exchanges, to friendship quilts and quilts for a particular cause, and reveal parties. And all these social opportunities can be improved with the right potluck recipe! It's always better among friends! perfect for your Thanksgiving table! Wouldn't you be proud to show off this beauty to all your friends? Judy Martin has been designing new and original quilts for more than 40 years. She has made a career out of putting breathtaking quilts within the reach of any quilter who is willing to spend a few minutes getting her seam allowance right. It starts with the design: Judy knows how to simplify certain elements of a pattern without compromising the look of the finished quilt. It extends to her artist's eye: Judy has a knack for great color and fabric choices which bring out the best features in the design. Plus she offers additional color options to help you see all the many possibilities within a pattern. And it all rests on the bedrock of the most accurate patterns in the business. Judy is a detail-oriented math expert who creates patterns that work. Additionally she offers hints and helps to allow you make the most stunning quilts you have ever made, all with a minimum of fuss. Which quilt are you going to make first? Take a look and decide! 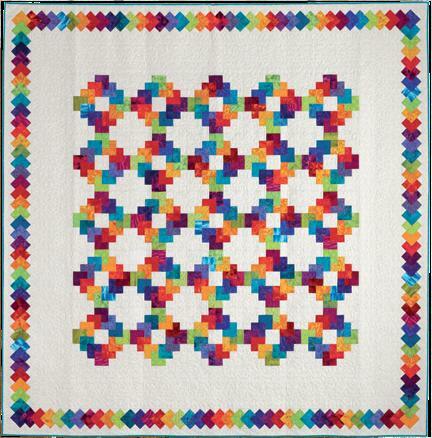 are all you need to make this striking quilt! 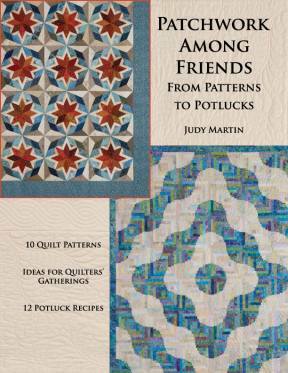 Filled to the brim with wonderful designs and ideas for connecting with friends near and far through quilting, this book looks like an instant classic. Plus it includes some great-sounding recipes. 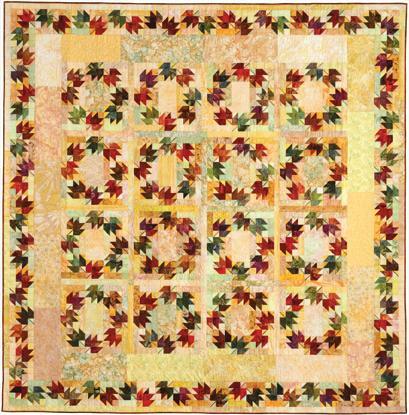 As always, these are truly stunning, original quilts that you will long to make. Judy also aims to please readers with fabric-cutting layouts so you can plan ahead, see the big picture, and get the most out of your fabric. I decided I've got to make a bunch of these beauties! 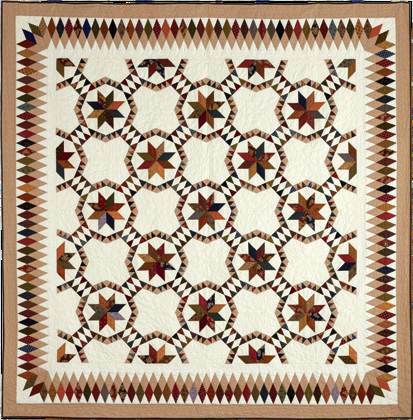 You will love the ten quilts shown, each with additional coloring or setting examples. Go order a copy of Patchwork Among Friends - it's really, really good! Gorgeous quilt patterns! Manufacturer: Crosley-Griffith Publishing Company, Inc.